Despite the slightly melancholy title, I'm not in a depressed mood. In fact, I got a recent boost in confidence after getting back an assignment with the mark of 18/20 (or 90%).Side tracking slightly, but I think it's a funny story so I'm going to share it. "You're all doing disasters for the assignment. Someone should do the disaster that is Microsoft." Hehe. Well, I thought it was funny anyway. I should really go back writing my archaeology essay, so I'll part with a face for the day. Experimenting with face shapes (or trying to). I might actually write a little story for this picture. I drew this while listening to 'Prince Ali' from Aladdin. ... What? You're judging me aren't you? Day 4: Completed! And now I'm up to date! Sweet! Anyway, have a fantastic day everyone! Very cute profile. I like the hair sticking out of the hood! Super Face #4! Great sketch. 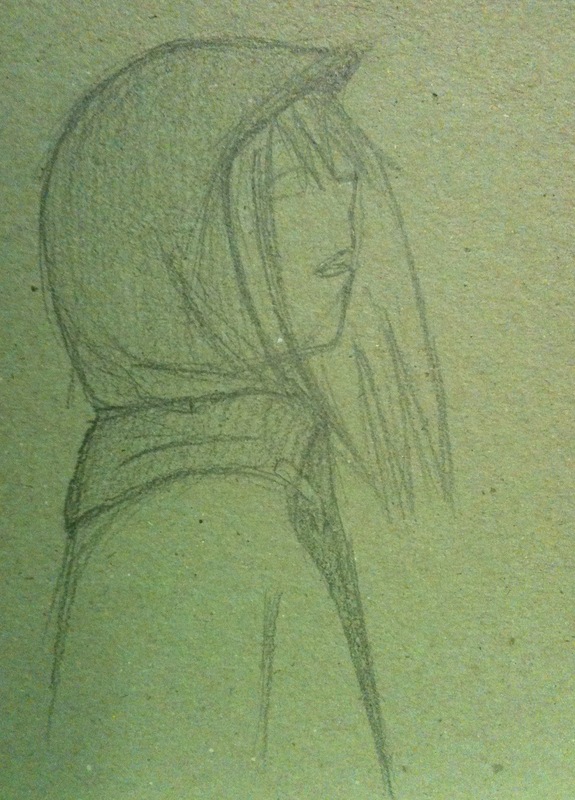 I too like the hair sticking out of the hoody. Thanks. Not judging at all! I love this little munchkin. Fantastic face and a big CONGRATULATIONS on a great mark.